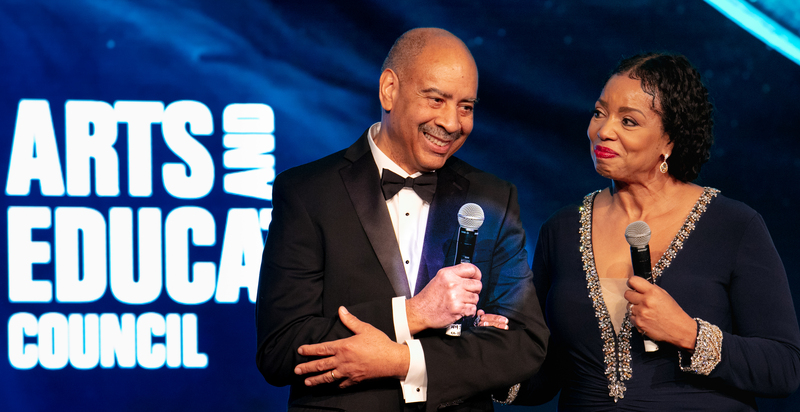 Seven awards were given to those who enhance, encourage, and support the rich arts scene in St. Louis and an all-star line up of performances accompanied. 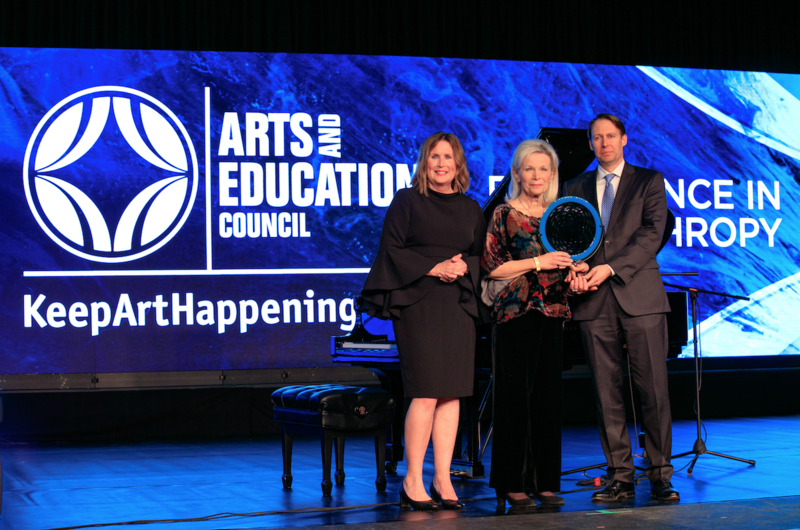 “The honorees and the exceptional performances you will see on this stage are examples of the magic that happens when we all work together to keep art happening,” said Cynthia A. Prost, A&E president and CEO. 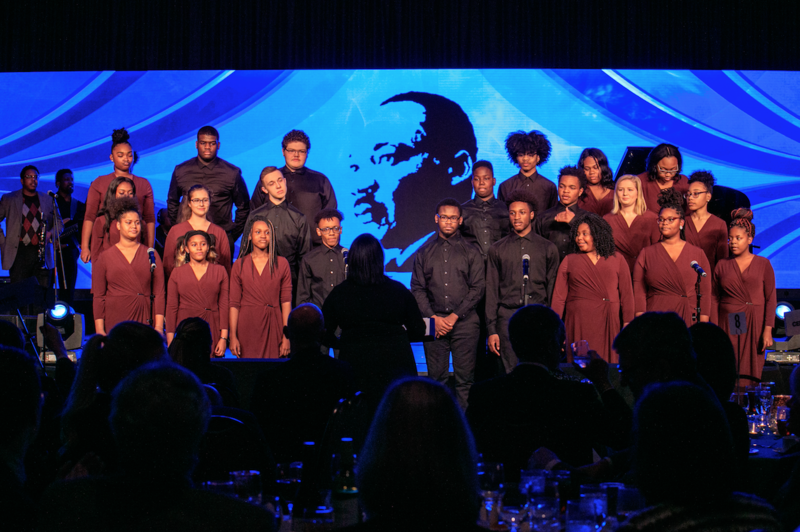 The evening kicked off with a powerful performance by The Sheldon’s City of Music All-Star Chorus tribute to Martin Luther King Jr. and continued by honoring Amy Freet, music therapist and educator at Ferguson-Florissant School District, with the Art Educator of the Year award. Freet partners with local organization like the St. Louis Symphony Orchestra, Jazz St. Louis, Opera Theatre of Saint Louis, and Boing to develop STEAM (science, technology, engineering, art, and math) programs in the district. 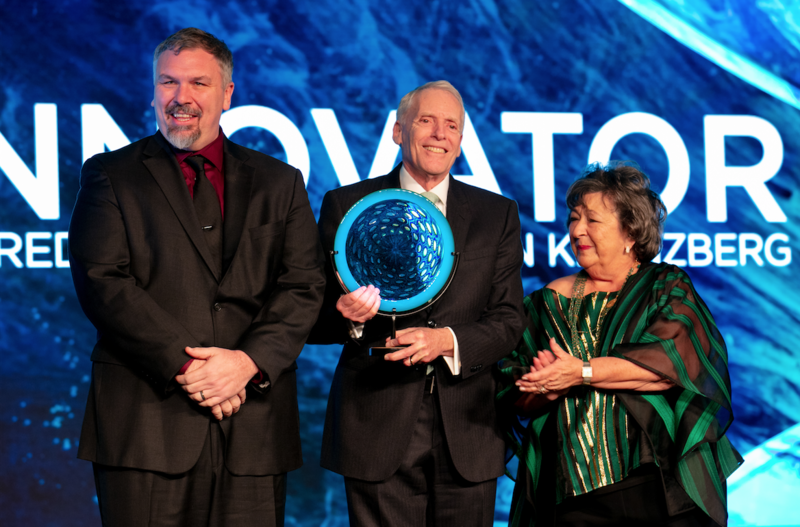 Musician and businessman Chris Hansen was awarded Arts Innovator for his role as Executive Director of the Kranzberg Arts Foundation. Under Hansen’s leadership, the Foundation welcomes more than 200,000 people each year to events in their various venues, including the .ZACK, the Grandel, and the Marcelle. The Tennessee Williams Festival was named Arts Startup of the Year, and Brent Benjamin, the Barbara B. Taylor Director of the Saint Louis Art Museum, was named for Excellence in the Arts. Benjamin has overseen the museum’s purchase of numerous works of art and entire collections, as well as raising $160 million for the 2013 addition of the new east wing of the museum. 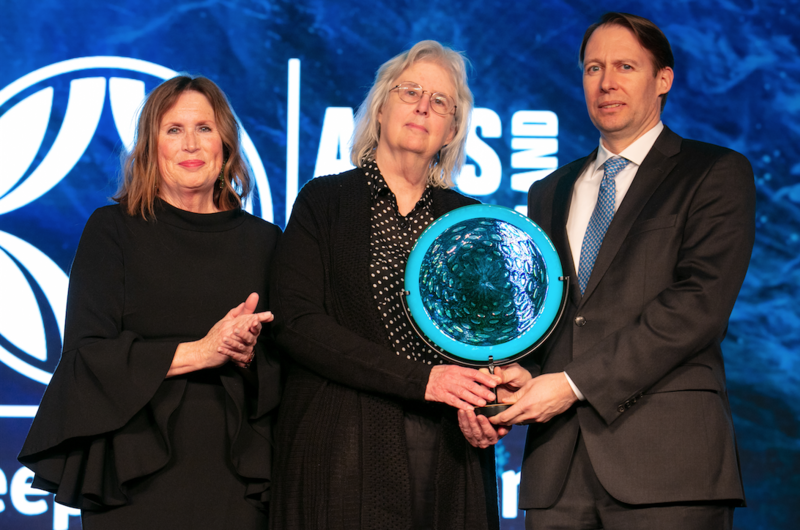 Sue Greenberg, executive director of St. Louis Volunteer Lawyers and Accountants for the Arts and company manager for The Muny, was awarded Champion for the Arts to a room that erupted with applause. Next awarded was a name St. Louis is very familiar with. Noémi and Michael Neidorff, St. Louis’ power couple and champions of the arts, were awarded Excellence in Philanthropy. “It’s important to support the arts, among many other things, because the arts transcend all socio-economic levels,” Michael said. 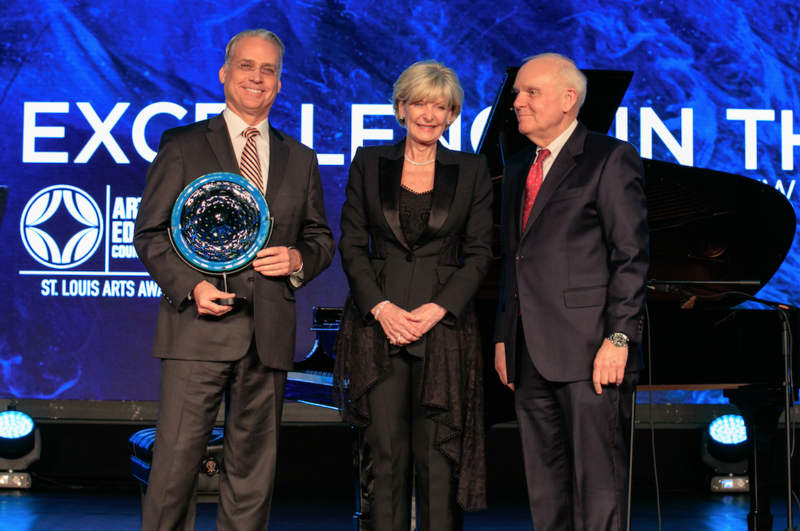 Chairman and CEO of Centene Coporation, one of the top 100 Fastest Growing Companies in the nation according to Forbes, Michael believes the arts are a key to attracting and retaining employees to the area. And Michael credits his love and appreciation for the arts to his wife, Noémi. “When I met Noémi, the theme from The Lone Ranger became the William Tell Overture,” Michael said. Her parents then enrolled her in lessons at the Liszt Academy of Music. Music helped Noémi assimilate to Plainfield, New Jersey after her family fled Budapest during the 1956 Revolution and eventually led her to the esteemed Manhattan School of Music, where she earned bachelor’s and master’s degrees. The last award winner of the night received more of a local, St. Louis education. 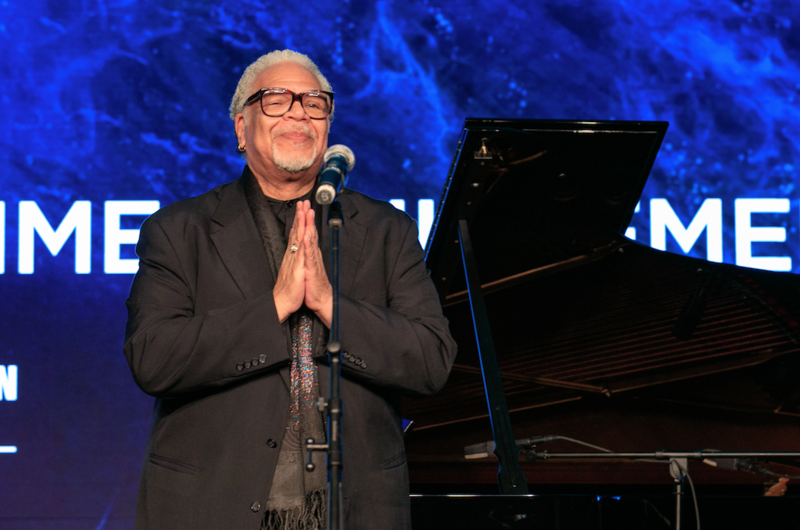 Ken Page was introduced to the arts at a young age by his music-loving mother and teachers at the historic school St. Nicholas near downtown. By the time he got to Bishop DuBourg High School, Page was writing his own stage versions of Thoroughly Modern Millie and Mary Poppins for his peers. Page went on to study theatre at Fontbonne University and landed his first role at The Muny in South Pacific in 1973. Fast forward a few years, Page now has multiple Broadway and New York credits to his name, including Cats and The Wiz, and is also known for the voice of Mr. Oogie Boogie in Tim Burton’s cult classic film The Nightmare Before Christmas. Page has returned to The Muny stage every year but one since 1994. 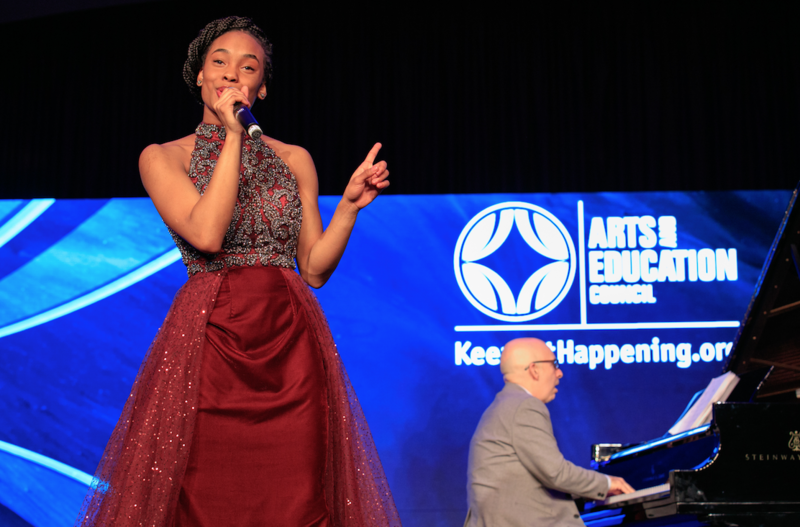 The event was peppered with performances by The Big Muddy Dance Company, The Sheldon’s City of Music All-Star Chorus, fifth-grade piano prodigy Jerry Chang, Mad Men star Bryan Batt, and Kennedy Holmes, the 14-year-old former Muny kid who became the youngest finalist in the 15 season history of NBC’s The Voice, performing with jazz pianist Peter Martin. Watch the performances on the A&E Facebook page. Nominations for A&E’s St. Louis Arts Awards are open to the public every spring. After nominations, A&E convenes a selection panel comprised of past honorees, arts patrons, artists, and arts administrators to review the nominations and select the honorees. 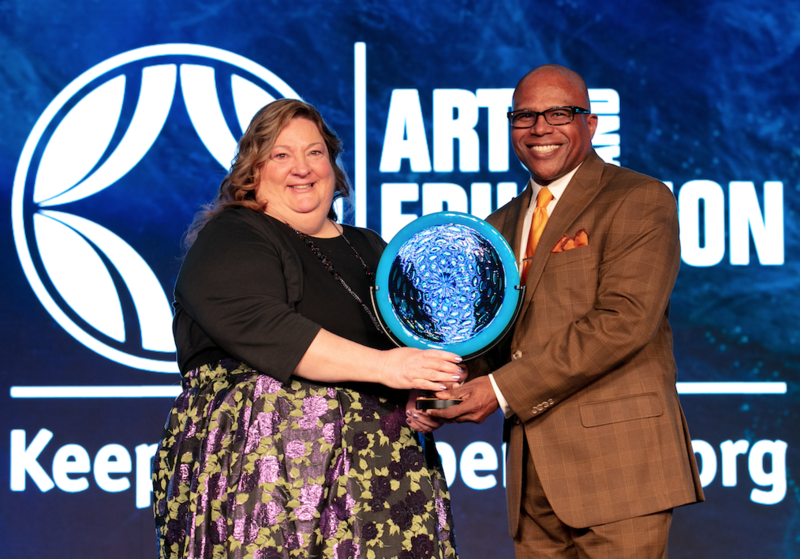 Since 1992, A&E has recognized more than 175 artists, educators, philanthropists, corporate citizens, and arts organizations at the St. Louis Arts Awards for their exceptional contributions in making our region more vibrant. 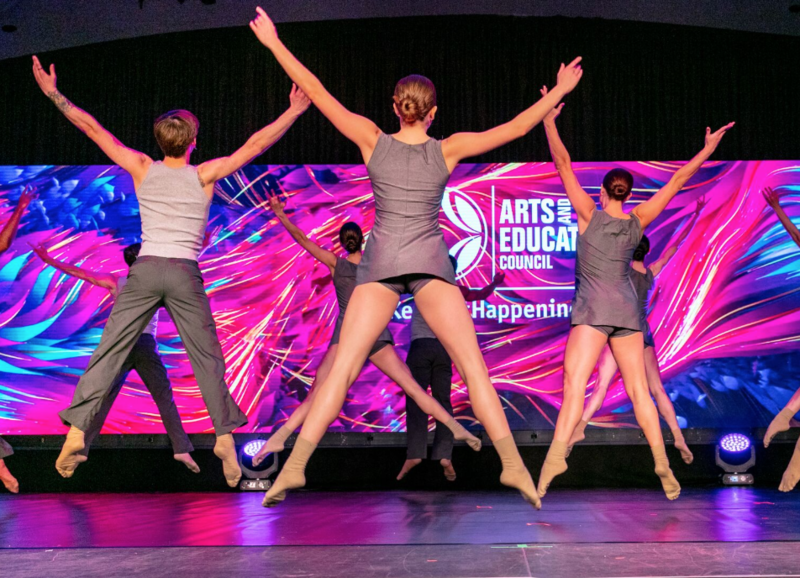 Nominations for the Arts and Education Council’s 2020 St. Louis Arts Awards will open this spring at KeepArtHappening.org.